Being a Responsible Citizen - Lesson on what it means to be a responsible citizen. Citizenship - Unit that helps encourage students to utilize their new-found social awareness to benefit their community. I am Responsible - Lesson on being responsible for one's own actions and for obligations to others, particularly to the members of the classroom and school community. 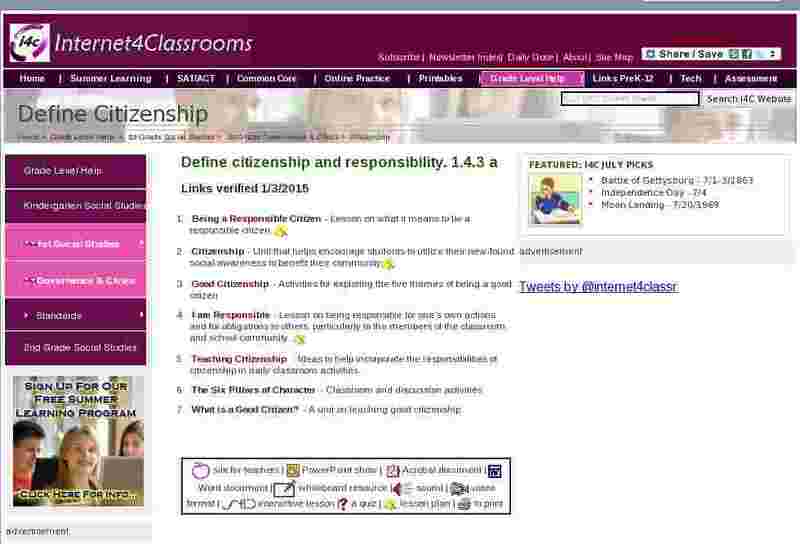 Teaching Citizenship - Ideas to help incorporate the responsibilities of citizenship in daily classroom activities. The Six Pillars of Character - Classroom and discussion activities. What is a Good Citizen? - A unit on teaching good citizenship.